In 2017 the fair was kindly loaned 38 watercolours from Eton College collections. The exhibition included works from artists Thomas Gainsborough, Edward Lear, Paul Sandby and J.M.W Turner. Eton College have kindly agreed to loan 38 watercolours from their impressive College Collection. This exceptional selection contains some of the finest works from the classic period of English watercolour painting that can be seen anywhere in Britain. It represents an opportunity to see watercolours which are rarely on view to the public, and shines a spotlight on the best collection of early watercolours to belong to any school in Britain. Some of the pictures have never been publicly displayed by the school before. Most of the famous names are represented, and the selection includes work by Alexander and John Robert Cozens (Alexander taught drawing at Eton in the 1760s), Gainsborough, Francis Towne, Thomas Girtin and J.M.W. Turner. 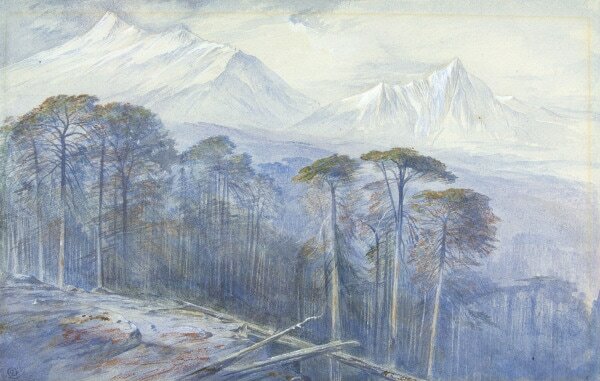 The last is represented by a small watercolour of Chateau d’Arques, near Dieppe, which was published as an engraving in 1836, and a much earlier view from the mid-1790s of Skiddaw and Derwentwater in the Lake District, drawn before the artist visited the Lake District and very much in the manner of the influential Edward Dayes. 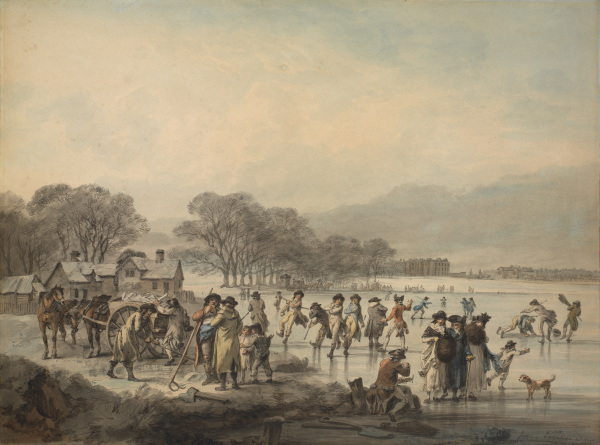 Other highlights include works by Edward Lear (The Forest of Valdoniello, Corsica), a large watercolour by Julius Caesar Ibbetson of figures skating (and falling over) on the Serpentine, exhibited at the Royal Academy in 1796 with the title Hyde Park - Winter, a Paul Sandby watercolour of Windsor Bridge (with animated figures and a runaway horse), and a large watercolour of Donnybrook Fair outside Dublin by Francis Wheatley dating from circa 1780 and packed with characterful figures, all drawn with the artist’s sublime skill, which belies the improvidence of his personal life. 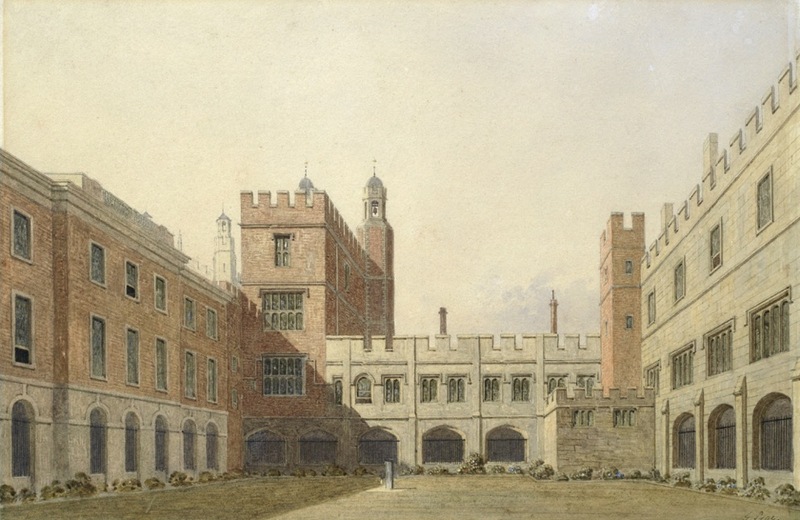 Since the upsurge of enthusiasm for landscape drawing and watercolour painting in Britain during the final decades of the 18th century, Eton College has been associated with topographical artists and watercolourists. Views of the college from the River Thames, or of Windsor Castle from the Eton side of the river, soon became favourite subjects. Meanwhile Alexander Cozens rented rooms on the High Street in Eton, from where he offered drawing lessons to boys. These first unofficial art lessons, first led by Cozens and then from 1765 by Richard Cooper, began a tradition of professional artists being employed as Drawing Masters at the school, which continues today. As the Eton College Drawing Schools developed, so too did the college’s collection of Fine & Decorative Art, which now includes some 1,500 drawings and watercolours. The college strives to make this rich resource available to a wide public and hence a selection will be lent for display at the Works on Paper Fair in February 2017. Although exhibitions drawn from the collection have been held at the Morgan Library & Museum, New York (1990); Christie’s, King Street, London (2003), and W.S Fine Art / Andrew Wyld, London (2010), and individual works are at times lent to public exhibitions, many of the works loaned to the fair will be exhibited in public for the first time. At the core of Eton College’s collection of works on paper are the examples of leaving portraits, which show boys soon after leaving the school, executed in pastel, chalk and watercolour, rather than the more usual media of oil-on-canvas. To these, generous Old Etonian collectors have added impressive assemblages of drawings and watercolours and their donations reflect the particular expertise and passion of the individual benefactors. Alan Pilkington (1879–1973), who worked for his family company of glass manufacturers, started collecting watercolours in about 1920 and presented some 270 mainly 18th- and some 19th-century works in the 1960s and ‘70s. Martin Whiteley (1931–1984), who left Eton in 1948 and returned to become a House Master, began collecting in the 1950s and later gave or bequeathed over 40 works. These two considerable donations inspired others to follow suit. In addition, the college has commissioned or purchased Eton-related landscapes and portrait drawings and Drawing Masters have presented examples of their own work, further enhancing the collection.